“Photographer Todd Webb discovered New York when, as a Navy man, he spent leaves here. After the war he came to live and photograph the city. 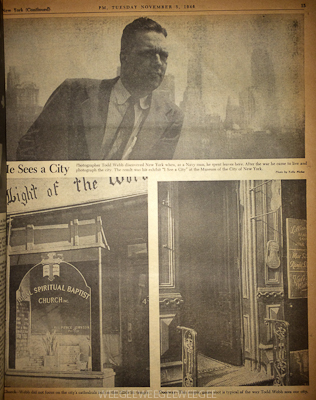 The result was his exhibit “I See a City” at the Museum of the City of New York.